5 Simple Steps to Organize & Document Those Precious Memories…. Graduation Day is upon us, once again. Two of our 4 children graduated from high school 2 years ago, and this month our middle son will begin the next step of his journey. This is a bittersweet time in our lives. Sweet, as we look back over their accomplishments and individual growth through the years and see the fine young men and young woman they have become. And sweet, knowing we have done all that we could have to prepare them for this next stage of life. Life away from home. Bitter (actually not bitter, just a bit sad), as they will all 3 be in different parts of the country. How quickly I forget how crazy busy the senior year of high school is! The last few weeks of the school year include prom, college prep, senior capstone service projects, end of year banquets and celebrations, wrapping up sports seasons, and of course, graduation. 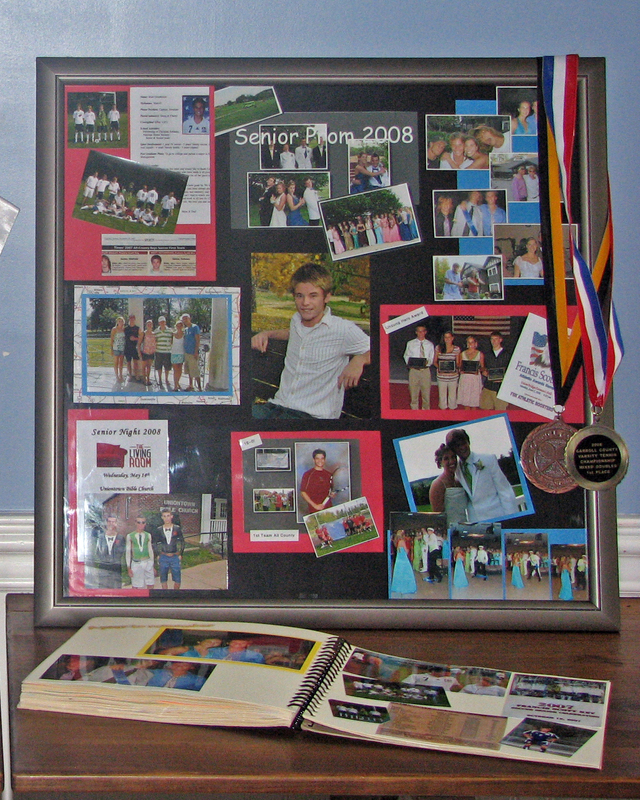 In the midst of it all, I complete a memory book for each of our graduates, spanning their 13 years of school, along with a photo gallery frame with sweet memories of their high school years, to be on display at their graduation party, and to pass on as gifts for the graduates. This task is a joy, not a burden, in large part because I have taken a few simple steps to collect and document their memories and accomplishments over the years. Of all the organizing projects we might undertake, tackling photos and memories can be the most overwhelming. But, on the other hand, it can provide the biggest payoff in terms of joy, satisfaction and freedom. Our photos simplify life by providing memories without having to keep all the stuff associated with those memories. 1. Keep only the best! If you hold on to EVERY photo and piece of memorabilia, the volume becomes overwhelming and you won’t be able to enjoy any of them. The idea is to pick the most special, organize them beautifully, and toss the rest. That way, you can actually access and enjoy your memories. Be realistic. You know yourself. Don’t start something that you won’t keep up with. If you know you won’t finish a scrapbook, then don’t start it, as it will only bring you stress, not joy. If a scrapbook isn’t your thing, then purchase a simple photo album or memory box. Keep in mind that it will need to accommodate 13 years of photos and memories, but remember– only THE BEST! When each of my children began kindergarten, I started a school age scrapbook for them. I intentionally purchased spiral bound scrapbooks, which limited the number of pages that I had to fill for each of their years of school. Basically, I had a bout 5 pages per year. Not so overwhelming for this inept scrapbooker! 3. Gather The Memories – Each year, place an envelope in the back of your photo album or scrapbook and begin to gather photos and memorabilia of that year. As each school year began, I simply put a manila folder in the back of each of my child’s scrapbooks to gather pictures of that year. As I had pictures developed during the year, I would get an extra copy of the best that I had for each child, and simply slip them into their envelope. By the end of the school year, I had gathered highlights of each child’s year, which generally included their first day of school, highlights of the year, special activities and sports, holidays and summer fun. I then choose the best, most memorable, and most meaningful to incorporate into their memory book. Finally, I spent a few hours arranging the photos and memories that I had collected for each child into their scrapbook. Despite my ineptitude as a scrapbooker I enjoyed these hours. It was a time to reminisce and review each child’s year. I don’t try to tell a story on each page, as a seasoned scrapbooker may. Instead, I simply mount the best pictures that I had for that year, along with a a few colorful die cuts, photo-safe stickers, card-stock and a few captions or funny sayings. As my children head off to college, this inept scrapbooker is thrilled to have a picture story to remember the past, as I look forward to their exciting years to come. Times have changed, and over the years, so have my photo habits. Even this old girl has gone digital, ordering and storing pictures online. 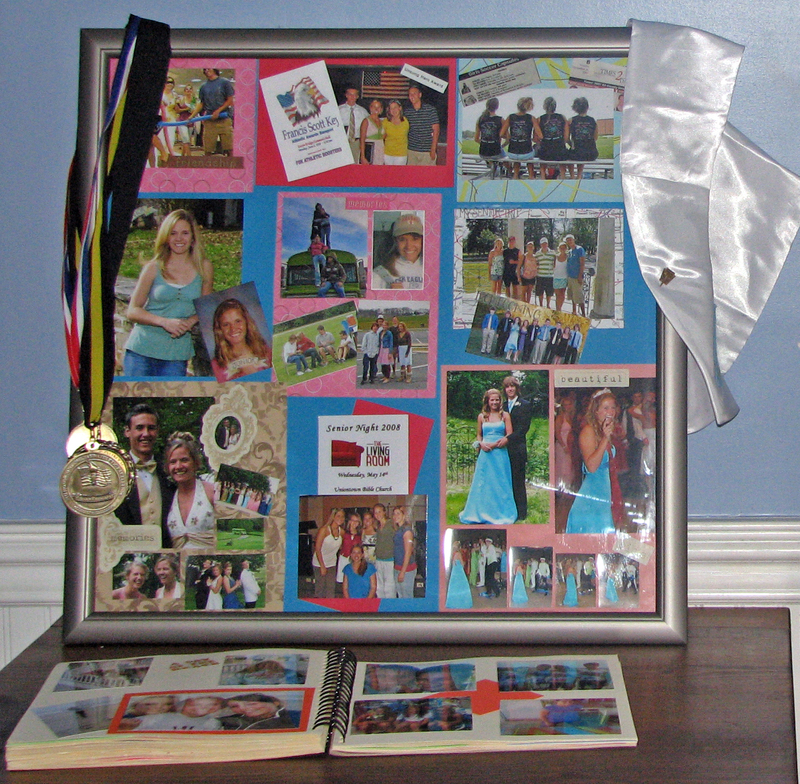 Many people now create their scrapbooks completely online. The entire process has been simplified, making it easier for us to be the keeper of memories.